You are required to register through the Google form and it will automatically be deactivated once we have received 50 responses on first come basis. 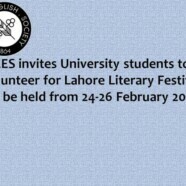 All the 50 interested volunteers will be interviewed, out of which only 25 will be selected and will become part of LLF 2017. The last date to register is Sunday 19 February 2017. 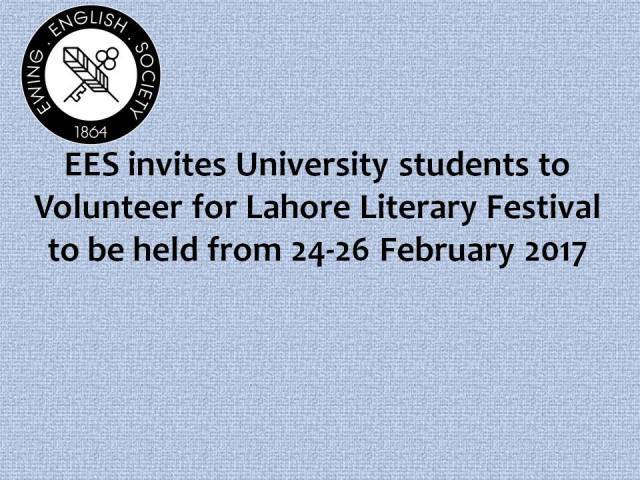 The interviews will take place on Monday 20 February 2017 from 10:00 am to 02:00 pm in Room # A-13, Seemi Tajjamal Building.